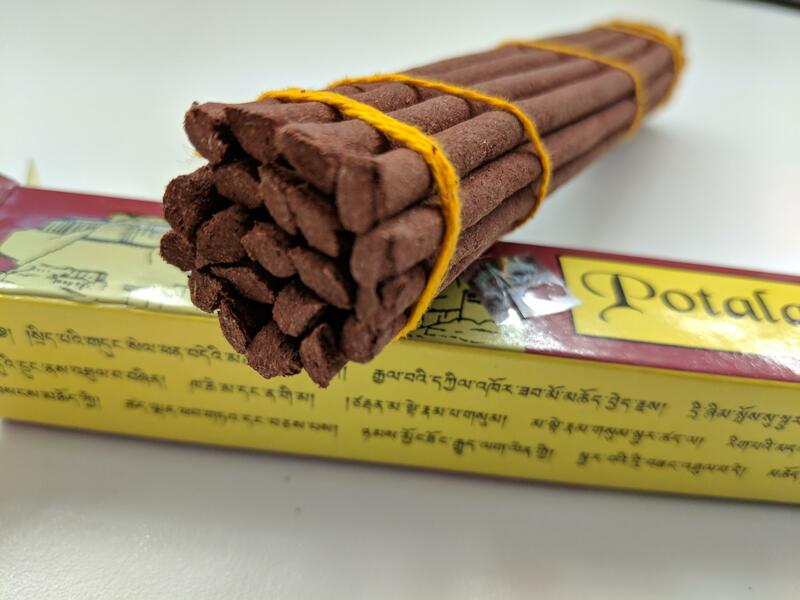 Based on traditional Tibetan incense used for centuries in Tibet to balance the mind and relieve tension and stress, this incense is made using time honoured methods with Himalayan plants. It comes in a gift pack of five different varieties. Located near Dehra Dun in India, the Dekyiling Handicraft Centre provides work for impoverished families in Dekyiling and in nearby settlements. Traditional Tibetan artisan skills such as weaving and incense making are taught and preserved here. The incense is hand made from a mixture of traditional herbs. Your support ensures the project receives vital income, allowing it to continue its great work.